Medicine is becoming increasingly specialized — all for the benefit of the patient. Recognizing that back and neck pain requires a specialized spine center approach, Dr. Michael Rohan, Jr. launched Northwest Florida Spine 10 years ago. Over the past 10 years, hundreds of patients have traveled to the spine center from as far away as Mobile, Alabama; Dothan, Georgia; and Tallahassee. In May 2018, the spine center transitioned its name from Northwest Florida Spine to Northwest Florida Spine which reflects the regional reputation of the spine center. In minimally invasive spine surgery, the surgeon inserts special surgical instruments through tiny incisions to access the damaged disc in the spine. Entry and repair to the damaged disc or vertebrae is achieved without harming nearby muscles and tissues. As a community service, the spine center distributes a free 36 page Home Remedy Book on back pain. 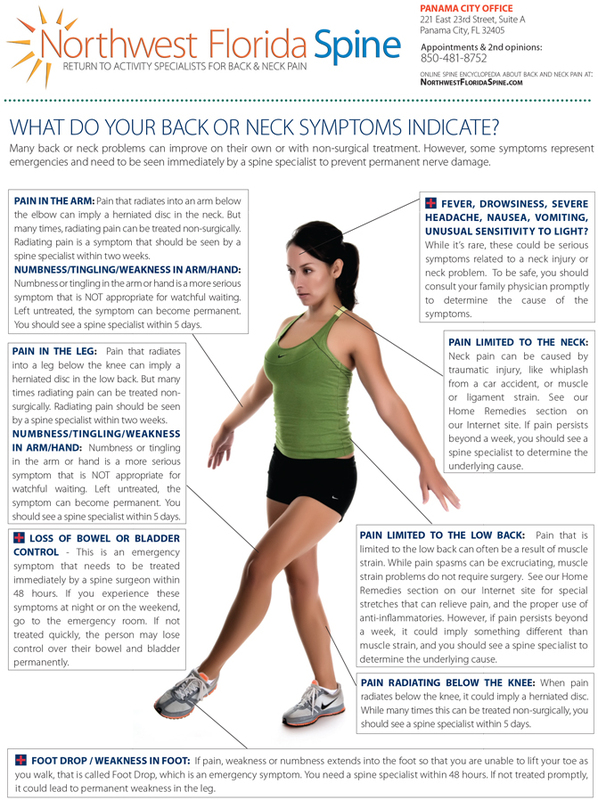 Recognizing that the best quality healthcare comes from a well-informed health care consumer, the spine center developed an online encyclopedia about back and neck pain at NorthwestFloridaSpine.com that has symptom charts and stretches that can relieve symptoms.